I have made it with a lovely little triangular druzy quartz cabochon. 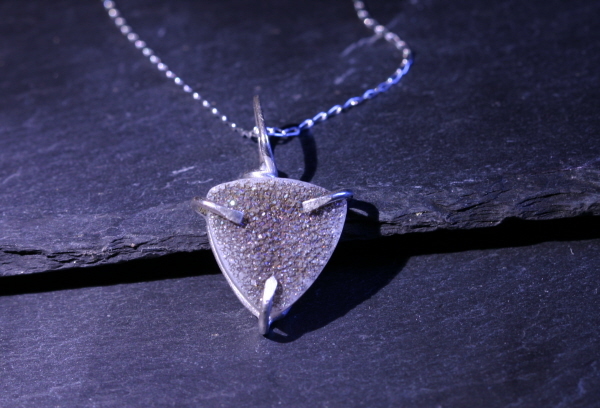 the cabochon measures 1.5cm top to bottom - and has been skilfully set with a custom made sterling silver prong setting. This gives the crystal an AMAZING rainbow shimmer but is hard to see in images. The necklace is then strung from an 18 inch sterling silver chain. BOXED in a stunning velvet lined jewellery box - and would make a truly unique gift!